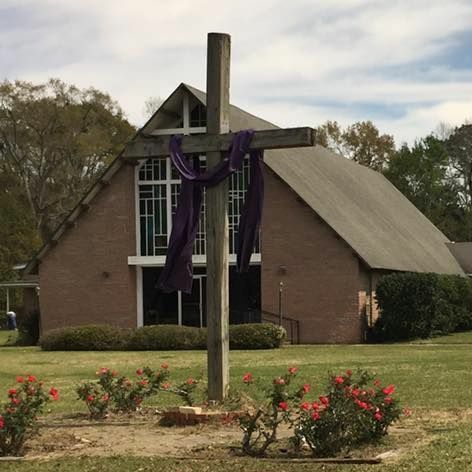 South Brookley UMC is not a building (though it does meet in beautiful one!) Nor is it a social club or clique. It is a group of people who are on a lifelong journey together with Jesus. Only one of us in the group is perfect, and that’s Him. We still are a bunch of messed-up people, but over time, we’re discovering that He is slowly changing us to become more like Him. We don’t have all the answers, but we’re finding out that when we take the time to get quiet and listen to Him, He does! Most of all, we are people who have discovered that being a Christian is not about repeating a prayer, trying to be good, and pretending you are someone who’s got your life together when you really don’t. Rather, it is about giving your whole life over to a God who loves you “just the way you are” but who won’t just leave you the way you are. We follow a God who is still in the business of changing lives. Life is hard sometimes, but we’ve discovered great joy in this journey, and we’d love to have you come along and join us! We are called to disciple people along the journey.